My name is Ahad. I was born in Iran. At the age of 2, I contracted polio and as a result, was paralyzed from the waist down. I was lucky that my parents were determined to do everything they could to get me medical treatment, even selling their house. Yet, despite selling everything, they could only raise enough money to pay for treatment to correct my right leg, which, thankfully, did fully recover. However, once their money ran out, my medical treatment was stopped. As a result, my left leg remains 3 inch shorter and weaker than my right leg. As a child, I was often bullied because of the way I walked. This hurt my parents and me deeply and I became determined to find a way to make my parents proud. In middle school, I discovered table tennis, and found a sport that I loved and was good at and I quickly became a member of the school table tennis team. At a meet, a coach for handicapped players approached me and told me that I was very talented and asked me to join their team. With his coaching, I became the top player in Iran in class 5 (a handicap category). One of my aspirations was to become a part of the Iranian national team and to compete in international tournaments. 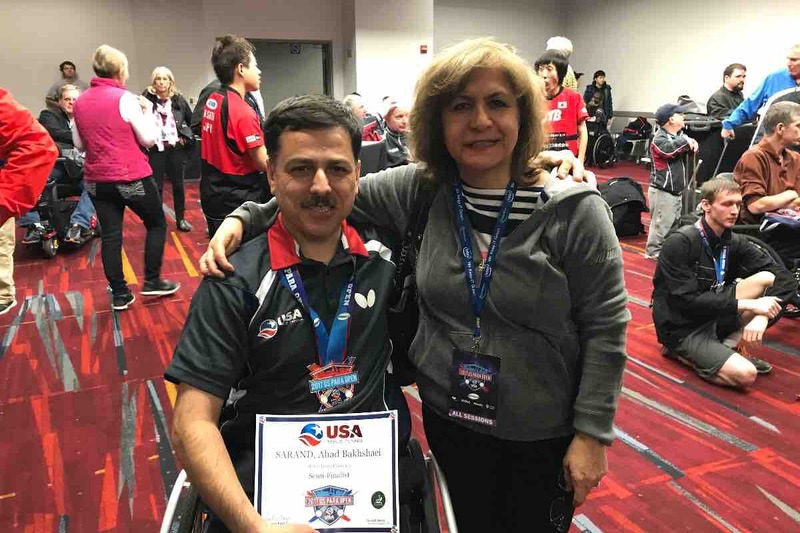 Finally, after years of hard work, I did become a proud member of the Iranian National Para Table Tennis team and competed at the World Championships and Games for the Disabled in the Netherlands. In 1996, my family (my wife and our 2 year old son) immigrated to the USA. For the last 27 years, I have continued playing table tennis, but have not competed professionally. Yet, I dreamed of becoming a part of the USA Paralympic Table Tennis Team. So after 27 years and with my wife's encouragement and a lot support from my friends, I began training again for professional competition. 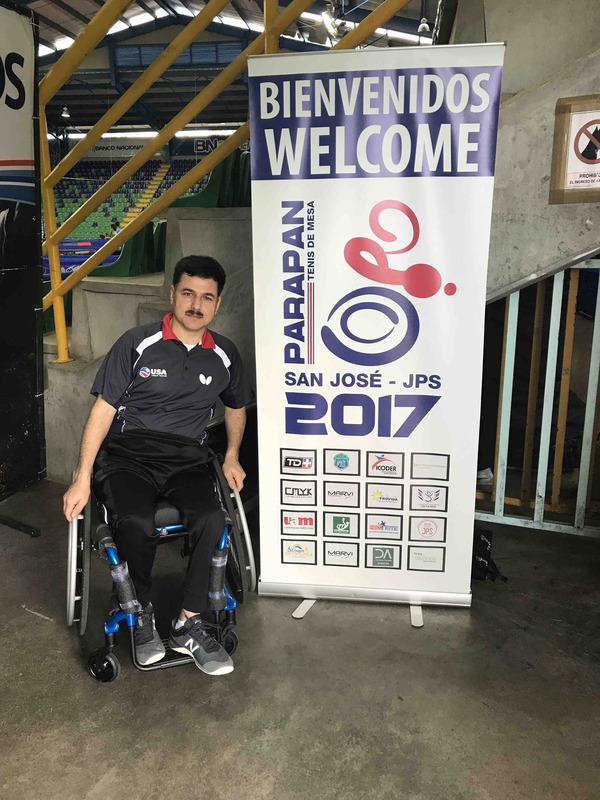 In November, I travelled to Costa Rica for the 2017 Para PanAm tournament. There, I won a bronze medal in the individual event and silver in the team event. I also joined the USA team in Las Vegas for the US Open and won the bronze medal in team events. I am determined to become a member of the U.S. Paralympics team in 2020 and I am confident this is an achievable goal for me. But I cannot do it alone. I am required to pay all of the fees and travel costs to participate in PTT tournaments so that I can the credits I need to be qualified to become a member of the U.S. team. While I have been saving money and working extra I am still not able to cover all of the expenses on my own. So I am asking for your help and support to raise the $20,000 I will need to help me succeed in my goal to join USA team and compete in the 2020 Paralympics in Tokyo, Japan! "An athlete cannot run with money in their pockets. They must run with hope in their heart and dreams in their head. I’m determined to become a member of the USA Table Tennis team in 2020 Japan Paralympic and this is an achievable goal for me. In Costa Rica I placed second place in Men's singles.